What is sexual purity? Why be Chaste? My message addresses a fundamental question of great spiritual consequence: Why is the law of chastity so important? I pray the Holy Ghost will confirm the truthfulness of the principles I emphasize. The eternal importance of chastity can only be understood within the overarching context of our Heavenly Father’s plan of happiness for His children. “All human beings—male and female—are created in the image of God. Each is a beloved spirit son or daughter of heavenly parents, and … has a divine nature and destiny” (“The Family: A Proclamation to the World,” Ensign or Liahona, Nov. 2010, 129). All men and women lived with God as His spirit children before coming to the earth as mortal beings. The Father’s plan enables His spirit sons and daughters to obtain physical bodies, to gain mortal experience, and to progress toward exaltation. Our physical bodies make possible a breadth, a depth, and an intensity of experience that simply could not be obtained in our premortal existence. Thus, our relationships with other people, our capacity to recognize and act in accordance with truth, and our ability to obey the principles and ordinances of the gospel of Jesus Christ are amplified through our physical bodies. In the school of mortality, we experience tenderness, love, kindness, happiness, sorrow, disappointment, pain, and even the challenges of physical limitations in ways that prepare us for eternity. Simply stated, there are lessons we must learn and experiences we must have, as the scriptures describe, “according to the flesh” (1 Nephi 19:6; Alma 7:12–13). After the earth was created, Adam was placed in the Garden of Eden. Importantly, however, God said “it was not good that the man should be alone” (Moses 3:18; see also Genesis 2:18), and Eve became Adam’s wife and helpmeet. The unique combination of spiritual, physical, mental, and emotional capacities of both males and females was needed to enact the plan of happiness. “Neither is the man without the woman, neither the woman without the man, in the Lord” (1 Corinthians 11:11). The man and the woman are intended to learn from, strengthen, bless, and complete each other. The means by which mortal life is created is divinely appointed. “The first commandment … God gave to Adam and Eve pertained to their potential for parenthood as husband and wife” (Ensign or Liahona, Nov. 2010, 129). The commandment to multiply and replenish the earth remains in force today. Thus, marriage between a man and a woman is the authorized channel through which premortal spirits enter mortality. Complete sexual abstinence before marriage and total fidelity within marriage protect the sanctity of this sacred channel. The power of procreation is spiritually significant. Misuse of this power subverts the purposes of the Father’s plan and of our mortal existence. Our Heavenly Father and His Beloved Son are creators and have entrusted each of us with a portion of Their creative power. Specific guidelines for the proper use of the ability to create life are vital elements in the Father’s plan. How we feel about and use that supernal power will determine in large measure our happiness in mortality and our destiny in eternity. “Outside the bonds of marriage, all uses of the procreative power are to one degree or another a sinful degrading and perversion of the most divine attribute of men and women” (“The Great Plan of Happiness,” Ensign, Nov. 1993, 74). The Church of Jesus Christ of Latter-day Saints has a single, undeviating standard of sexual morality: intimate relations are proper only between a man and a woman in the marriage relationship prescribed in God’s plan. Such relations are not merely a curiosity to be explored, an appetite to be satisfied, or a type of recreation or entertainment to be pursued selfishly. They are not a conquest to be achieved or simply an act to be performed. Rather, they are in mortality one of the ultimate expressions of our divine nature and potential and a way of strengthening emotional and spiritual bonds between husband and wife. We are agents blessed with moral agency and are defined by our divine heritage as children of God—and not by sexual behaviors, contemporary attitudes, or secular philosophies. To some degree, the natural man described by King Benjamin is alive and well in each of us (see Mosiah 3:19). The natural man or woman is unrepentant, is carnal and sensual (see Mosiah 16:5; Alma 42:10; Moses 5:13), is indulgent and excessive, and is prideful and selfish. As President Spencer W. Kimball taught, “The ‘natural man’ is the ‘earthy man’ who has allowed rude animal passions to overshadow his spiritual inclinations” (“Ocean Currents and Family Influences,” Ensign, Nov. 1974, 112). In contrast, the “man [or woman] of Christ” (Helaman 3:29) is spiritual and bridles all passions (see Alma 38:12), is temperate and restrained, and is benevolent and selfless. Men and women of Christ lay hold upon the word of God, deny themselves and take up His cross (see Matthew 16:24; Mark 8:34; Luke 9:23; D&C 56:2), and press forward along a strait and narrow course of faithfulness, obedience, and devotion to the Savior and His gospel. As sons and daughters of God, we have inherited divine capacities from Him. But we presently live in a fallen world. The very elements out of which our bodies were created are by nature fallen and ever subject to the pull of sin, corruption, and death. Consequently, the Fall of Adam and its spiritual and temporal consequences affect us most directly through our physical bodies. And yet we are dual beings, for our spirit that is the eternal part of us is tabernacled in a physical body that is subject to the Fall. As Jesus emphasized to the Apostle Peter, “The spirit indeed is willing, but the flesh is weak” (Matthew 26:41). 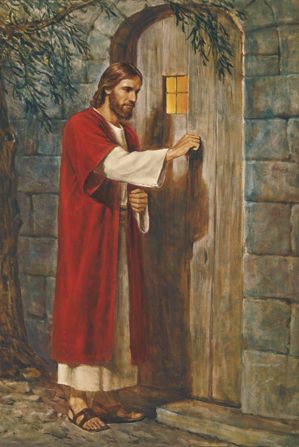 The precise nature of the test of mortality, then, can be summarized in the following question: Will I respond to the inclinations of the natural man, or will I yield to the enticings of the Holy Spirit and put off the natural man and become a saint through the Atonement of Christ the Lord (see Mosiah 3:19)? That is the test. Every appetite, desire, propensity, and impulse of the natural man may be overcome by and through the Atonement of Jesus Christ. We are here on the earth to develop godlike qualities and to bridle all of the passions of the flesh. The Father’s plan is designed to provide direction for His children, to help them become happy, and to bring them safely home to Him with resurrected, exalted bodies. Heavenly Father desires us to be together in the light and filled with hope. In contrast, Lucifer labors to make the sons and daughters of God confused and unhappy and to hinder their eternal progression. The overarching intent of the father of lies is that all of us would become “miserable like unto himself” (2 Nephi 2:27). Lucifer wants us ultimately to be alone in the dark and without hope. Satan relentlessly works to distort the most important elements of the Father’s plan. He does not have a body, and his eternal progress has been halted. Just as water flowing in a riverbed is stopped by a dam, so the adversary’s eternal progress is thwarted because he does not have a physical body. Because of his rebellion, Lucifer has denied himself all of the mortal blessings and experiences made possible through a body of flesh and bones. He cannot learn the lessons that only an embodied spirit can learn. He resents the reality of a literal and universal resurrection of all mankind. One of the potent scriptural meanings of the word damned is illustrated in his inability to continue developing and becoming like our Heavenly Father. Because a physical body is so central to the Father’s plan of happiness and our spiritual development, Lucifer seeks to frustrate our progression by tempting us to use our bodies improperly. One of the ultimate ironies of eternity is that the adversary, who is miserable precisely because he has no physical body, entices us to share in his misery through the improper use of our bodies. The very tool he does not have is thus the primary target of his attempts to lure us to spiritual destruction. Violating the law of chastity is a grievous sin and a misuse of our physical tabernacles. To those who know and understand the plan of salvation, defiling the body is an act of rebellion (see Mosiah 2:36–37; D&C 64:34–35) and a denial of our true identity as sons and daughters of God. As we look beyond mortality and into eternity, it is easy to discern that the counterfeit companionship advocated by the adversary is temporary and empty. Alma counseled his son Shiblon to “bridle all [of his] passions, that [he] may be filled with love” (Alma 38:12). Significantly, disciplining the natural man in each of us makes possible a richer, a deeper, and a more enduring love of God and of His children. Love increases through righteous restraint and decreases through impulsive indulgence. “I can think of no blessings to be more fervently desired than those promised to the pure and the virtuous. Jesus spoke of specific rewards for different virtues but reserved the greatest, so it seems to me, for the pure in heart, ‘for they,’ said he, ‘shall see God’ (Matt. 5:8). And not only shall they see the Lord, but they shall feel at home in his presence. “Here is … the Savior’s promise: ‘Let virtue garnish thy thoughts unceasingly; then shall thy confidence wax strong in the presence of God’ (D&C 121:45)” (“Trust in the Lord,” Ensign, May 1979, 42). We also are promised that, as we pursue the pathway of virtue, “the Holy Ghost shall be [our] constant companion” (D&C 121:46). Thus, living the law of chastity invites some of the greatest blessings men and women can receive in mortality: appropriate spiritual confidence in the presence of family, friends, Church associates, and, ultimately, the Savior. Our innate longing to belong is fulfilled in righteousness as we walk in the light with hope. Some of you who receive this message need to repent of sexual or other sins. The Savior is often referred to as the Great Physician, and this title has both symbolic and literal significance. All of us have experienced the pain associated with a physical injury or wound. When we are in pain, we typically seek relief and are grateful for the medication and treatments that help to alleviate our suffering. Consider sin as a spiritual wound that causes guilt or, as described by Alma to his son Corianton, “remorse of conscience” (Alma 42:18). Guilt is to our spirit what pain is to our body—a warning of danger and a protection from additional damage. From the Atonement of the Savior flows the soothing salve that can heal our spiritual wounds and remove guilt. However, this salve can only be applied through the principles of faith in the Lord Jesus Christ, repentance, and consistent obedience. The results of sincere repentance are peace of conscience, comfort, and spiritual healing and renewal. Your bishop or branch president is the spiritual physician’s assistant who is authorized to help you repent and heal. Please remember, however, that the extent and intensity of your repentance must match the nature and severity of your sins—especially for Latter-day Saints who are under sacred covenant. Serious spiritual wounds require sustained treatment and time to heal completely and fully. The doctrine I have described will seem to be archaic and outdated to many people in a world that increasingly mocks the sanctity of procreation and minimizes the worth of human life. But the Lord’s truth is not altered by fads, popularity, or public opinion polls. I promise that obedience to the law of chastity will increase our happiness in mortality and make possible our progress in eternity. Chastity and virtue are now, always have been, and always will be “most dear and precious above all things” (Moroni 9:9). I so testify in the sacred name of the Lord Jesus Christ, amen. Periodically the Church of Jesus Christ of Latter-day Saints hosts a live face to face events geared especially for the youth of the church. These events center around questions from youth all around the world. Most of the questions are based on how to live a gospel-centered life while still living in the world and around many different temptations. These events are uplifting, and give real perspective on everyday life challenges. I hope you will enjoy watching this event and feel the good spirit it brings. All members of the Church are invited to participate in the 187th Semiannual General Conference of the Church. The general women’s session for sisters ages eight and older will be Saturday, September 23, at 6:00 p.m. Mountain Daylight Time (MDT). 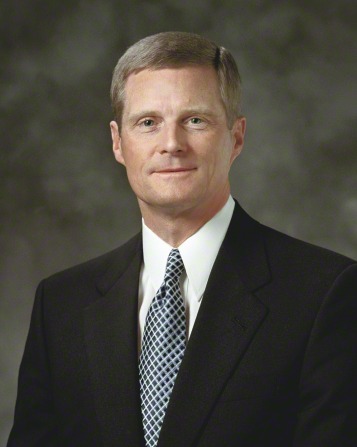 The general priesthood session for priesthood holders will be Saturday, September 30, at 6:00 p.m. MDT. The general sessions for individuals and families will be Saturday and Sunday, September 30 and October 1, at 10:00 a.m. and 2:00 p.m. MDT. Conference provides an opportunity to receive personal revelation as living prophets give counsel and direction. Asking questions can help you prepare for conference, increasing personal revelation while you watch. Those of other faiths are welcome to participate in general conference. Members are encouraged to invite others in person or using social media. All sessions will be streamed live on the home page of LDS.org. They are also available via the Church satellite system, Mormon Channel, radio, television, satellite, and other digital channels. Stake technology specialists should refer to the broadcast schedule for more details. Tickets are required for admission to sessions in the Conference Center. For ticket information, see the Temple Square Events page. To participate in general conference conversations on Twitter, use #LDSconf or speakers’ recommended hashtags, or simply retweet quotes, videos, and images posted at @LDSchurch. The Apostles’ Facebook pagesare another way to see and share their messages. General conference talks in text, audio, and video formats are provided in multiple channels for studying after conference, including the Gospel Library app, the general conference section of LDS.org, and Church magazines. I cannot say that I understand even the smallest fraction of what the sons and daughters of God on this earth feel with such a variety of heartache and pain present in mortality. But, I do know that Jesus Christ does know. I have had my own trials, and difficulties in life, and finding true strength in my Lord and Savior Jesus Christ has been key to the peace I needed both in joyful times and in hard times. As I watched the following video, I contemplated the many different reasons and ways we all might feel neglected, left out, unneeded, and just plain different from those around us. I thought about how the Savior really knows exactly who we are and what we need. He knows what we feel and why. He can show us a way through all of these feelings. There is a key phrase that Elder Christofferson uses and teaches in this video that really caught my attention. It is, "possibilities in Christ." This is such a liberating phrase! Though our possibilities may be limited in many ways, they are not limited as we place ourselves in His care and love. As we provide even just a little faith in Him, we need never wonder where our place is or if we fit in. He will always be the place we belong. Let your "possibilities in Christ" set you free to become His disciple. We all have a place in His love. I often think about Mary, the mother of Jesus, and the ability she had to ponder sacred things in her heart. She was humble and teachable, and willing to be all that our Father in Heaven needed her to be. She was living a life already pure and good. She was prepared to do what the angel Gabriel asked her to do and prophesied to her. Her faith did not start with the visit of the angel. She was already filled with faith, and accepted her Father's will not really knowing all that would come from being the mother of the Savior of the world. Truly, I cannot imagine the life she must have lead. I hope in your life there is room for faith. I am certain that all of your problems are not solved when you want them to be. I know that there are many unknowns in all of our lives. This can be very trying at times. There is purpose in this. There is a reason for us to take things one step at a time, and keep moving. Jesus will always be the answer in our lives. He will always be the reason for the miracles we experience and the light that fills us with the peace we long for. I invite you to watch this video, and ponder on the faith of the mother of Jesus. How can we fill our lives with such faith in the Savior? The Holy Bible and the Book of Mormon hold the answers to these questions and the fullness of the gospel of Jesus Christ. Ponder His miracles in the scriptures and in your own life. He loves you. He will never forsake those who "come unto Him." I spent the last year and a half trying to heal from two broken bones in my back. I was finally cleared to do the things I love again like run and play soccer, when I tore my MCL. And yet, despite these hardships with each new day my trust in, and my love for God grows. My love for a heavenly father up above who is constantly watching over me, loving me, and pushing me to succeed, intensifies. Trials come, and with them comes the seemingly impossible decision to keep going, to keep loving, and to keep serving, but with God the seemingly impossible becomes possible. With God, you and I will be able to constantly feel His peace and joy in every circumstance we are in. Every experience we are blessed with, the good and the bad, are designed perfectly for us to turn us into our most perfect selves, to help us succeed more than we could have ever imagined. God is always there, and it’s all because He loves us. In the name of Jesus Christ, amen. Within the Church of Jesus Christ of Latter-day Saints, there is a well-known three word phrase. It is this: Choose the Right. And its light is forever shining o'er you, when in the right your heart confides. Choose the right! Let no spirit of digression overcome you in the evil hour. There's the right and wrong to every question; Be safe through inspiration's power. Choose the right! There is peace in righteous doing. Choose the right! There's safety for the soul. Choose the right in all labors you're pursuing; Let God and Heaven be your goal. Choose the right! Choose the right! Let wisdom mark the way before. In it's light, choose the right! And God will bless you evermore. These truth-filled verses have been playing through my mind, and although I have been singing this song since I was a small child, the beauty and peace of the message has taken on more meaning for me in this troubled world we live in. There are problems and troubles on every side, and I guess I could list them all off and talk about why they are so difficult, horrifying, and filled with fear and grief. But that is a road with no destination. And this simple song highlights a better way to obtain peace. It is not in the pessimism and criticism that peace is found. It is simply in believing that there is a God and He will answer our prayers. There is a right and a wrong, and we can know the difference as we know night from day. It does matter what we do with our lives and our choices. Right and wrong are not at the mercy of the world, trends, or personal agendas. They are declared by God and His perfect son Jesus Christ. They are given in wisdom and for eternal purposes. God our Father works in the light and never in secrecy, darkness, or deception. He works in love. I can truly testify that there is "peace in righteous doing" as the song teaches. There is hope for a good life in an evil world. I invite you to "let God and Heaven be your goal." We all have the power within us to overcome bad with good and choose light when darkness would persist. There is no peace equal to the peace of righteous living. In Doctrine and Covenants 59: 23 it states, "But learn that he who doeth the works of righteousness shall receive his reward, even peace in this world, and eternal life in the world to come." What is faith? In Hebrews 11: 1 it defines, "Now faith is the substance of things hoped for, the evidence of things not seen." This definition of faith is most powerful when we apply it as faith centered in Jesus Christ. Our agency gives us the power to act and use that power to trust our Father in Heaven and our Savior Jesus Christ more than we trust our own understanding. We also read in Proverbs 3: 5-6 to "Trust in the Lord with all thine heart; and lean not unto thine own understanding. In all thy ways acknowledge him, and he shall direct thy paths." There have been many times in my life when I needed answers about the future, and I didn't know just what to do next. I felt a strong sense of urgency to make choices, and avoid very undesirable consequences. But I did not know which choice to make or why comfort and understanding was not coming as I thought it should. I would kneel and pray and feel that no answer was coming. I would wonder why Heavenly Father seemed so silent on the matter when I felt that answers were absolutely necessary. I remember one especially desperate prayer in which I asked Heavenly Father why I was not receiving the answer I desired and why I was left without relief and comfort in such a desperate trial. I remember getting a distinct feeling that I did not know what was best and I was not to demand anything from my Father in Heaven or the Lord. I was reminded of a scripture in the Book of Mormon in the book of Jacob 4:10 which teaches, ". . .seek not to counsel the Lord, but to take counsel from his hand." When we have faith in Jesus Christ and what He knows is best for us and our situation, then the real peace we so desire starts to settle in. After I had prayed my desperate prayer of utter frustration and pleading, and considered the messages and reminders that came to my mind and heart from the spirit, I repented and asked my Father in Heaven to forgive me. That night before I went to bed, I prayed again. I asked for some of the same blessings and some I did not ask for. But what made the most difference in my attitude and humility was what I knew I should add in this prayer that I had not considered in the first prayer. I ended my prayer with, "but if not, I can wait." It was that simple, but I absolutely meant it, and I knew God knew best. As those words finished coming out of my mouth and heart, I felt a rush of peace and relief and comfort that I was unable to access before because of pride, impatience, and a lack of faith. I know that we will receive exactly what we need when we need it if we have "taken the Holy Spirit for our guide." I can testify of this completely and honestly. Developing faith in the Lord Jesus Christ is to welcome and accept a greater power in our life than we have ever had before. He will make us into more than we ever thought we could become. "And now, I would commend you to seek this Jesus of whom the prophets and apostles have written, that the grace of God the Father, and also the Lord Jesus Christ, and the Holy Ghost, which beareth record of them, may be and abide in you forever. Amen." There are many ways in which we seek the Savior and learn His will, doctrine, and gospel, but of utmost importance is our seeking of Him in the scriptures and in prayer to our Father in Heaven. In the most recent General Conference of the Church of Jesus Christ of Latter-day Saints, President Russel M. Nelson gave a talk titled, Drawing the Power of Jesus Christ into Our Lives. He opens this message by saying, "My dear brothers and sisters, we live in a most difficult dispensation. Challenges, controversies, and complexities swirl around us. these turbulent times were foreseen by the Savior. He warned us that in our day the adversary would stir up anger in the hearts of men and lead them astray. Yet, our Heavenly Father never intended that we would deal with the maze of personal problems and social issues on our own. God so loved the world that He sent His Only Begotten Son to help us. And His Son, Jesus Christ, gave His life for us. All so that we could have access to godly power- power sufficient to deal with the burdens, obstacles, and temptations of our day." I have found that the Savior speaks to me through the holy scriptures. His words are powerful and life-changing. There have been sacred times for me when a verse of scripture comes with such clarity and force that I know He is speaking to me through the Spirit and giving me direct and personal revelation. And I am always amazed when I re-read those verses and can still recall the feelings of an earlier prompting or profound message of peace. And what is even more miraculous about the scriptures is the depth of knowledge they truly hold. I can return to verses I have read hundreds of times, and if I come in the right spirit and frame of mind, I learn something new again and again. I invite you to read President Nelson's talk here. He will teach you the power of studying the Savior's words, and seeking after Him in a way like never before. I also invite you to start to build a relationship with Jesus Christ through scripture study and prayer. He will draw near to you. He knows your name. He is the definition of pure love. He is the great healer. He is the light of the world. Come without delay. One of the first things that came to mind regarding this topic was a line from Jane Austen’s Pride and Prejudice, “Daughters are never of so much consequence to a father.” I must admit that as a female I have many times felt like a second-class citizen (stick with me, I’m going somewhere with this). I think many other women, and men, have felt this way too. In this world, our confidence (or lack thereof) can often be tied to falling income, falling Instagram “likes”, and rising weight on a scale (among so many other things). Conversely, our over-confidence can be tied to rising incomes, rising “likes”, and a few blessed dips in our weight (among too many other things). I think knowing I am a daughter of God is less a blessing reserved for me as a daughter, and more a blessing about my knowing I am a child of God at all. You are a child of God too. And as such, you and I can call upon our Heavenly Father through prayer in behalf of each other and ourselves. If the very Son of God did not let the praise of the world, or the derision of the world, shake his knowledge of who He was (and is), should we not all try to do the same? For me, doing this is far easier said than done, because unfortunately, I do care what others think of me. But, hopefully not above what God thinks of me. I know God is my Heavenly Father because I’ve felt him guiding my life many times. I know His Son Jesus Christ atoned for our sins so that we could enjoy the blessings of living with Him and His Father, our Father, forever. In the name of Jesus Christ, amen. Everyone is invited to participate in the 187th Annual General Conference of the Church. The general women’s session for sisters ages eight and older will be Saturday, March 25, at 6:00 p.m. (Mountain Daylight Time). The general priesthood session for priesthood holders will be Saturday, April 1, at 6:00 p.m. (MDT). The general sessions for individuals and families will be Saturday and Sunday, April 1 and 2, at 10:00 a.m. and 2:00 p.m. (MDT). All sessions will be streamed live on the home page of LDS.org. Sessions are also available via the Church satellite system, Mormon Channel, radio, television, satellite, and other digital channels. For specific times, languages, and rebroadcast information, refer to the Church broadcast schedule. To participate in general conference conversations on Twitter, use #LDSconf or speakers' recommended hashtags, or simply retweet quotes, videos, and images posted at @LDSchurch. The Apostles’ Facebook pages are another way to see and share their messages. We invite you to watch this video, and learn more about Joseph Smith. As a boy, he had a pressing and serious question. He believed that God would answer him. He believed that he could get the knowledge he sought so fervently. He had never prayed vocally, but when he finally did, it changed everything. God hears and answers our prayers. He loves us. He has restored the gospel on the earth again. If you would like to read more about Joseph Smith, Click Here. Is the Savior Really There for Me? It seems our lives are filled with challenging times. Just when you think you’ve got smooth sailing ahead, another challenge makes for stormy seas! But for me, I wouldn’t trade those moments when I’m tossed around and clinging to whatever I can find to keep my head above water. It’s in those desperate moments that peace comes and I feel my Savior’s love for me the very strongest. A few years ago, such a desperate time came to my family. My husband was diagnosed with cancer, not just any cancer; the very same cancer that a friend and fellow Firefighter had been diagnosed with and unfortunately didn’t recover from. I have vivid memories of the very emotional Fallen Firefighter funeral; hundreds of Firefighters in full dress blues honoring their friend. It was difficult to not replay that funeral in my mind when my husband was so distraught and afraid his fate could be the same as his friend. I remember collapsing in the bathroom and pouring out my soul to my Savior “Help me! How do I handle this?” I will never forget the overwhelming feeling of, “I’m here, things will be okay. You can be strong for your husband and things will work out.” I felt the strong impression of arms wrapping me up in pure, unwavering love. My Savior knew my fears and wanted to help. The next morning, I thought of what had happened and what needed to be done. Then I remembered a caring nurse the night before. He had just started his shift when we got the news of cancer. As my husband worried, this kind nurse held his hand and told him that he had survived the same cancer and things were going to be okay. When we were told that surgery was necessary, a highly skilled surgeon agreed to operate on a weekend, preventing the cancer from spreading. It was then that I began to realize the tender mercies given to my husband. I began writing down every tender mercy I saw through this experience. Now, when trials come, I remember my Savior is there for me. He loves me and knows everything I’m going through. He will never leave me alone. Faith is sometimes a difficult thing when we feel like we are sinking; but I know if we stay strong, believe in Jesus Christ, and ask Him to help us, He is there for us. The plan of Salvation is referenced so many times in the scriptures as being the plan of happiness. I truly testify that it is a plan of God. He was the architect, and has made this plan specifically for each and every one of us. We often wonder where did everything come from? But our Father wants us to know that we came from Him. We believe before the creation of this earth, we were created spiritually as children of our Heavenly Parents. We lived with him in the premortal existence, and learned from them. But our Father knew that we couldn’t progress in that state. It was like a child in preschool. That child could only learn so much before that child would stop progressing and stop learning new material and our Father knew that. He created this plan for us to keep progressing and keep learning. But He knew that it would come with a price. He knew that if we had free will, we were going to make mistakes. He knew that we were going to sin and we wouldn’t have a way of being free from this sin. So, imagine that God had all his family in a meeting and explained this plan but has asked who will be the Savior “Whom shall I send?” I imagine that at that moment we all looked at our elder Brother Jesus Christ. “Here am I, send me.” He said. I testify that our Savior Jesus Christ was preordained or in other words, He was chosen even before this life to be our way back to the Father. And so, the Father knew that we had to keep progressing so he created the Heavens and the Earth. I have sought revelation because I had doubts about the creation. But through study I realized God is the architect of this earth. This plan is amazing and this creation is phenomenal. When God was finished with the creation He knew that He had to put man on earth and so Adam was placed in the garden of Eden and realizing that man shouldn’t be alone, but should have an eternal companion and family, He placed Eve, our Mother, in the garden too. They were in a state of innocence like little children. They partook of the fruit of the tree of knowledge of good and evil. This opened the way for all of us to choose to get a body and come to earth to become as our Father in Heaven. Eventually, our Savior was born (see The Living Christ). He lived His life filled with love and charity. He fulfilled the mission He was given to do. He was truly the Son of God. No one else could possibly atone for all our sins unless that person was without sin. That person needed to be perfect. He lived a perfect life without the debt of sin upon his shoulders. He took our sin with love and empathy for each one of us. He truly suffered for all our sins and felt everything we have felt and will feel. The only thing that he asked in return is to “Follow Him”. I love him for that, and I know with all that I am that He suffered and died for us. Not only did He die for us, but He came back for us. He lived a perfect life and made the pathway for us to follow his footsteps to reach our heavenly home. This life is for us to follow his steps and make covenants with him. In other words, promises that we make to follow Him. If we do these things we will have what we were intended to have: Joy. My life is filled with joy; a kind of joy that makes a twenty-one-year-old have smile wrinkles. I love this gospel and the joy that comes with it. 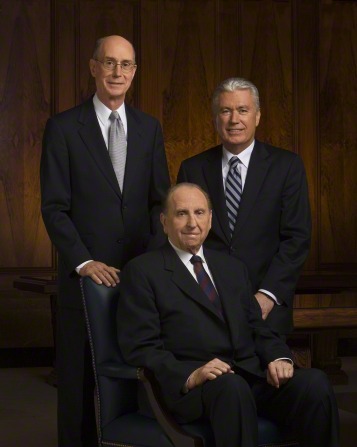 I’m so grateful for the restoration of the True Gospel and the Living Prophets that receive guidance for us. My favorite knowledge is the truth of what happens after this life. When death occurs, the grave has no victory. When we pass on we go to a place of rest or of teaching for those of who didn't have the opportunity of hearing and accepting the gospel. Imagine those millions upon billions of people that were never able to know the true gospel and how loving our Father in heaven is for letting us have the opportunity to be able to perform by proxy the covenants for them in temples that are scattered throughout the world. I testify of the truth of what occurs in the temple. I have felt the power in those holy places, and I know it’s the Lord's house. I testify that He is there for us and if we have any questions He’s there for us. I know that He lives and that God lives and I know this is His Plan in the Name of Jesus Christ Amen. 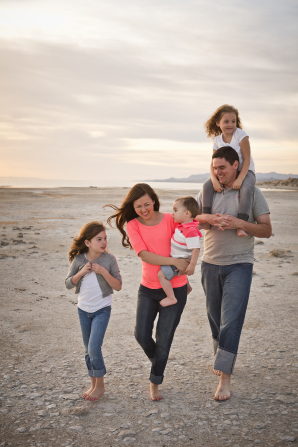 Click Here to learn more about the Lord's plan of Happiness for each of us. I have found that God is always waiting to bless us as soon as we are humble enough to trust in Him. The Word of Wisdom, or the Lord’s law of health is a perfect illustration. On February 27th 1833, the prophet Joseph Smith inquired of the Lord about the use of tobacco and received a revelation that outlines the Lord’s views on health. This is recorded in Doctrine & Covenants section 89. The Lord warns against the use of harmful substances including alcohol and tobacco while encouraging the benefits of fruits and vegetables. The Lord warned us not to use tobacco 130 years before science had proven its harmful effect. This is one of many evidences that the Lord loves us, and wants us to be happy. Perhaps an even greater lesson is that the Lord wants us to abstain from habit forming substances to teach us how to govern ourselves. Addiction is slavery. Freedom comes from self-mastery. I am so thankful the Lord cares for us enough to give us guidance. I have always enjoyed good health, and would be ungrateful not to acknowledge that Lord has been happy to bless me as I have shown a willingness to obey His law of heath. It saddens me to see friends and co-workers deal with the consequences that come when the Lord’s law is violated. Luckily, He continues to cheer us on and always extends the blessings if we are willing to live by His law. God loves us and wants us to be happy. I know this because I have put this law to the test and can testify of its truth. What a blessing that everyone willing can also enjoy these blessings. "We believe in being honest, true, chaste, benevolent, virtuous and in doing good to all men; indeed, we may say that we follow the admonition of Paul- We believe all things, we hope all things, we have endured many things, and hope to be able to endure all things. If there is anything virtuous, lovely, or of good report or praiseworthy, we seek after these things." "There is a terrible ailment of pessimism in the land. It's almost endemic. We're constantly fed a steady and sour diet of character assassination, faultfinding, evil speaking of one another. . . .I come . . . with a plea that we stop seeking out the storms and enjoy more fully the sunlight. I'm suggesting that we accentuate the positive. I'm asking that we look a little deeper for the good, that we still our voices of insult and sarcasm, that we more generously compliment virtue and effort. . . .What I am suggesting and asking is that we turn from the negativism that so permeates our society and look for the remarkable good in the land and times in which we live, that we speak of one another's virtues more than we speak of one another's faults, that optimism replace pessimism. Let our faith replace our fears. Tragedy is around, yes. Problems everywhere, yes. But you can't, you don't, build out of pessimism or cynicism. You look with optimism, work with faith, and things happen. . . . Walk with faith, rejoicing in the beauties of nature, in the goodness of those you love, in the testimony which you carry in your heart concerning things divine. The Lord's plan is a plan of happiness. The way will be lighter, the worries will be fewer, the confrontations will be less difficult if we cultivate a spirit of happiness." What are the things you seek? Answering this question honestly has the power to motivate true change in order to obtain the happiness the Savior has made possible for us. Seeking requires effort on our part. We can actively create and uphold virtuous, lovely, good, and praiseworthy things in life. All of this takes discipline and great measure of integrity. It really is who we are when no one is looking. It is what we think about, work for, and give our best efforts to obtain. I have found that when I create and highlight the virtuous and true things in life and from the Savior's teachings, my life has more direction and peace. Living the gospel of Christ is not a pastime or trend. It is not a come and go way of living. It is the only way. Our Heavenly Father is merciful and loving and has provided a way for us to enjoy all of the good and real things that truly make a difference in life now and in all eternity. It is our privilege to share, uphold, cultivate and create all the good, virtue, and truth we can as we faithfully and diligently make our way back to our Father in Heaven. I invite you to let go of, or stop one negative action or pursuit in your life and replace it with something that would lift you to a place of more peace and righteous living. As a child of God, you will have his divine help as you do this. A happy life is a beautiful choice.